Harbord Village gets a taste of a lesser-known cuisine with the opening of Adelina, a modern Russian restaurant. 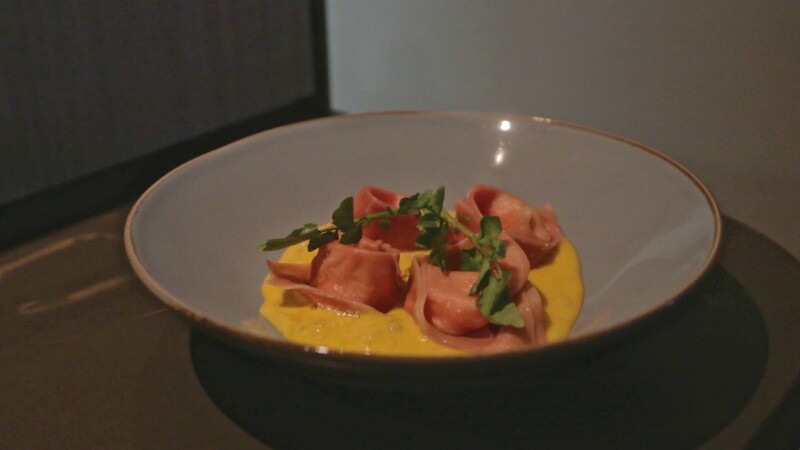 Adelina introduces Toronto to a less familiar cuisine with its modern Russian menu. Set in a cozy corner building at Harbord and Manning, the restaurant has a relaxed, neighbourhood vibe – think fewer hipsters and more families and couples of all ages. Owner Serguei Kourokhtine manages Adelina more like a host than a restaurateur, placing orders, running out plates and occasionally chatting in Russian with diners. Adelina replaces his French restaurant, Le Notre Bistro, which previously occupied the space. The small restaurant has room for around 20 people, with banquette seating along one wall, a few hightops lining a brick-wall-backed bar and a handful of tables set beside the large windows. There’s an open kitchen at the back and, an eclectic mix of Russian and French music, curated by Kourokhtine, provides the soundtrack. You can’t really have a Russian restaurant without including the quasi-Russian cocktail everyone knows: the Moscow Mule. Adelina makes their version with Russian Standard vodka, St. Germaine and lavender syrup. 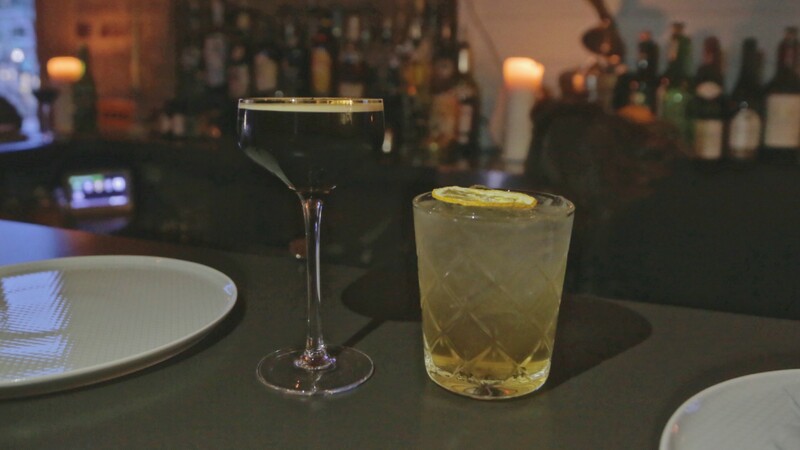 The Black Star is a variation on a White Russian – playfully named after a famous Russian music label – made with vodka, Kahlua, pastis wash and espresso. Wines are mainly French, while beers come courtesy of Kensington Brewing Company. If you want a Russian drink to pair with your Russian dishes, they also have Baltika, a lager brewed in St. Petersburg. Born in St. Petersburg, Kourokhtine made a culinary pilgrimage back to Russia before opening Adelina. 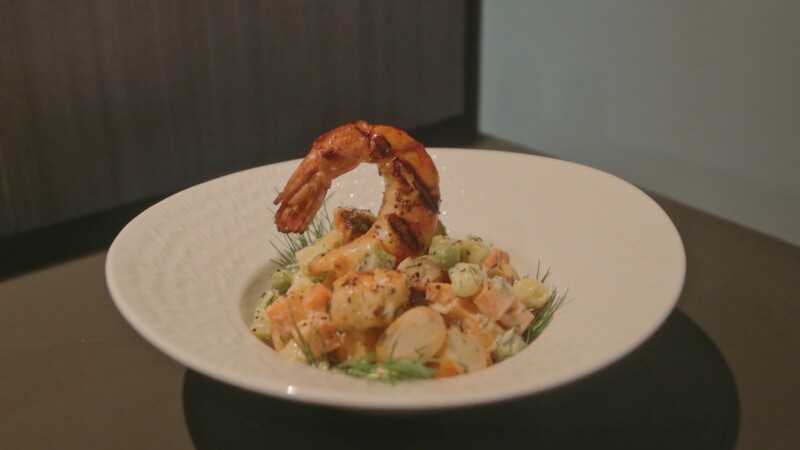 He takes a cue from restaurants in his home country, like Moscow’s White Rabbit, as well as his mother, who worked as a chef in Paris when he was growing up, for Adelina’s fresh approach to Russian cuisine. While the inspiration for the menu comes from across the Pacific, the ingredients are mainly sourced from local Ontario farms and almost everything is made in house. There are small and large plate options, so you can make a meal out of shareable dishes, or order small plates as an app before moving on to the mains. 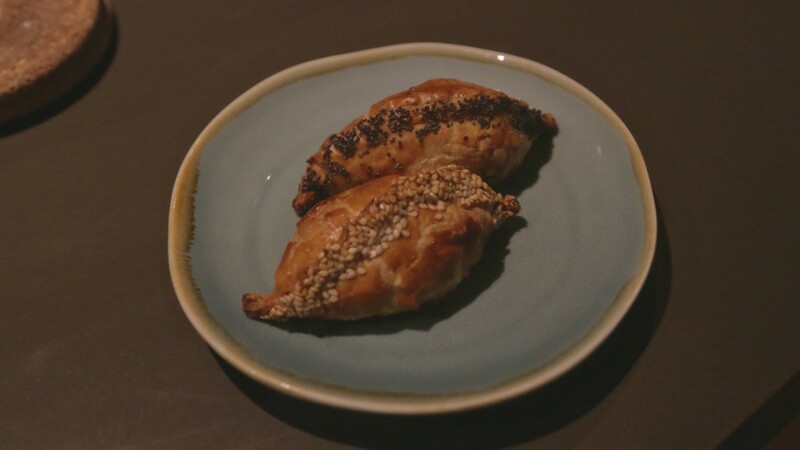 We started with the pirozhki, a Russian version of empanadas, which are based off of Kourokhtine’s mother’s recipe. The light, flaky pastries are served as a pair – one stuffed with cabbage and another with beef. 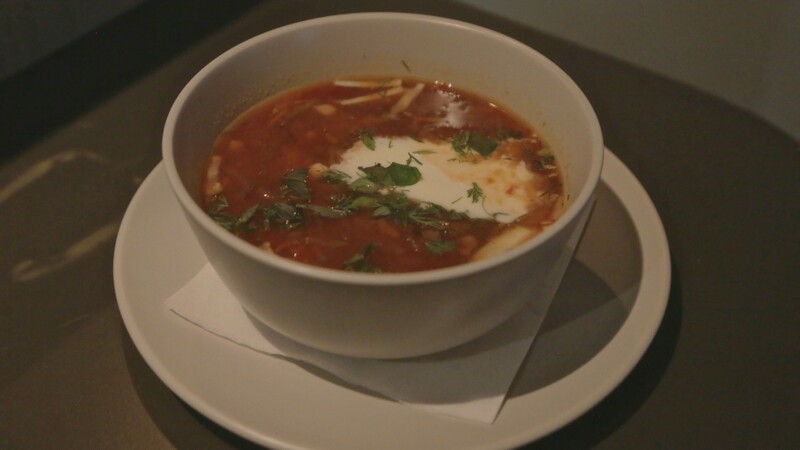 A recipe from Kourokhtine’s mother is also used for the borsch, which takes the humble soup up a notch with yuzu creme fraiche and fresh herbs. 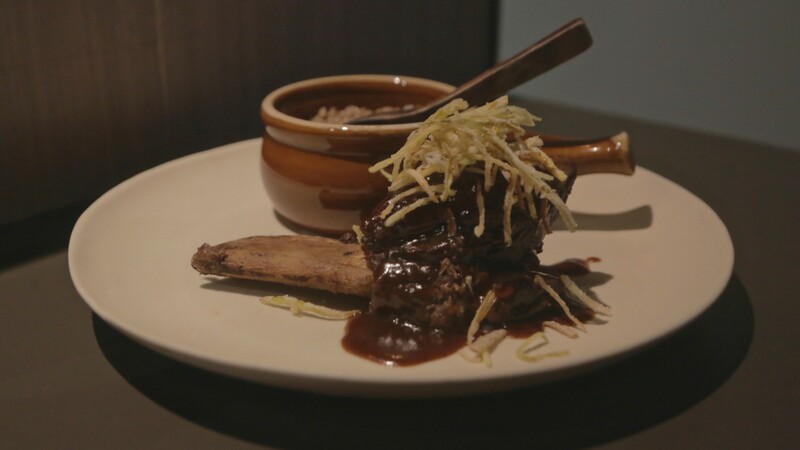 One of the most interesting mains is the beef & kvass, which sees Ontario short rib braised in kvass, a traditional fermented rye beverage, and marinated overnight. The result is a tender piece of meat with a pleasant malty, sweetness. 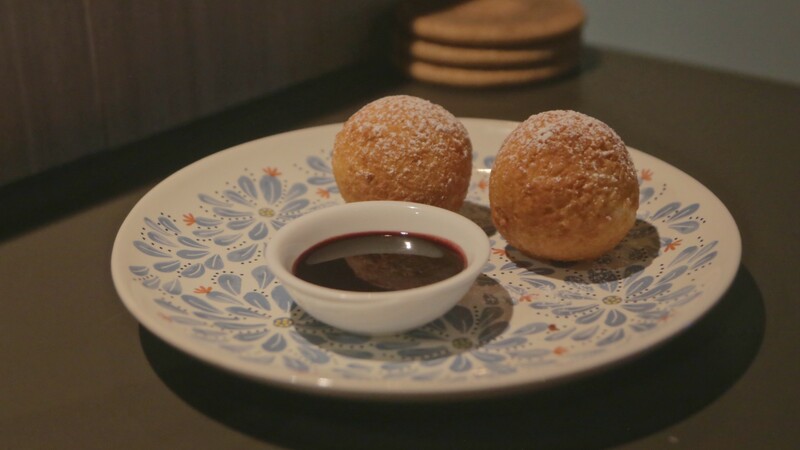 Finish with the ponchiki, a mash-up of Russian and local cuisine, featuring sugary Eastern European donut holes served with a warm sauce made from Saskatoon berries.